This post may contain affiliate links. Please read our disclaimer policy for more information. ALERT! Black Friday Ancestry DNA LOWEST PRICE EVER! Update – All DNA Black Friday deals! I’ve now updated this post with all offers I could find. Just to be clear, all these links are affiliate links that help support this site – if that’s not your thing, just google the company you want to order through. Ancestry has just announced their Black Friday deal for the UK – with a price of just £49 plus shipping! This is likely the lowest price we will see for quite some time, so if you were on the fence at all about ordering a DNA test, now is the time to act. You must buy before 11.59pm on the 26th November to get this price. Get your test now by clicking here! If you are searching for DNA relatives or want to have the best chance of progressing your genealogy using DNA, then I strongly recommend testing with Ancestry before any other testing company. Why? Firstly, They have the biggest database of over 10 million people, and recently announced that they had now sold over 20 million tests, so you can expect this number to grow rapidly (they have not announced database size since September 2018). Secondly, they don’t allow uploads from other sites, but you can download your raw DNA to upload to My Heritage, FamilyTreeDNA and Gedmatch, meaning it’s the most cost-effective way to start DNA testing, particularly if you are on a budget. Don’t see the sale pricing? Try logging out of your Ancestry account and refreshing your page, it should appear for you. Update: Ancestry US and Canada have now announced! US Price is $49, CAN$69. Although the above link is for the UK, it should auto-direct you to your local country. Or click your local link below. Living DNA – price is $69 US or £69 – this is a ‘3 in 1’ test giving you yDNA (Males only, obviously), mtDNA and autosomal results. Find My Past has also announced it is partnering with LivingDNA to offer DNA testing, and it’s Black Friday pricing is £59 UK. Their pricing is £10 cheaper than going direct to Living DNA, but it looks like the Find My Past version doesn’t include the yDNA or mtDNA, though you can upgrade. FamilyTreeDNA has 40% off their entire testing range. 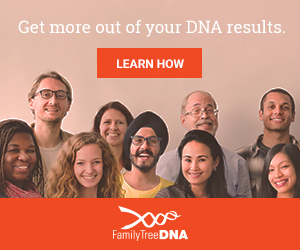 – that means Family Finder (autosomal) for $49, yDNA’s basic test for $99, and mtDNA for $139. Finally, 23andMe’s offer is $69 for one kit, or $49 per kit for two or more. This is for their Ancestry kit only, and appears to be for US customers only, I could find no special UK pricing. Want to know more about what to do with your DNA test results once you get them? Get my free guide by filling out the form below. 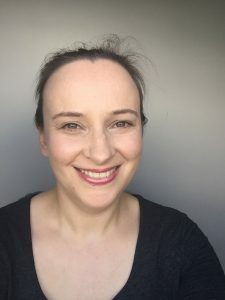 My name is Rachel and I am passionate about genealogy and helping people to find their roots. Copyright © 2018 Rachel King / Toll Genealogy | All Rights Reserved | Toll Genealogy is a participant in the Amazon EU Associates Programme and Amazon Services LLC Associates Program, affiliate advertising programmes designed to provide a means for sites to earn advertising fees by advertising and linking to www.amazon.co.uk and www.amazon.com.